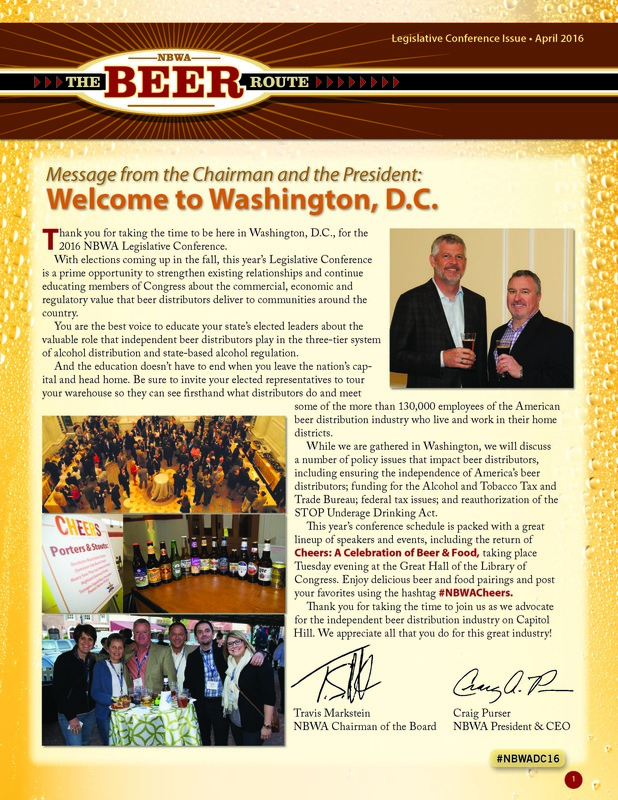 Read the 2016 Legislative Conference issue, which provides a look at the activities of the National Beer Wholesaler Association. Learn about what's been happening in Congress; read tactics for developing relationships with members of the media; and get an economic update on the beer industry. Read a preview of NBWA's Fourth Annual Next Generation Success in Leadership Conference; learn about new safety training videos that NBWA offers to members; and find out what new features have been added to the upgraded NBWA Advocacy App!